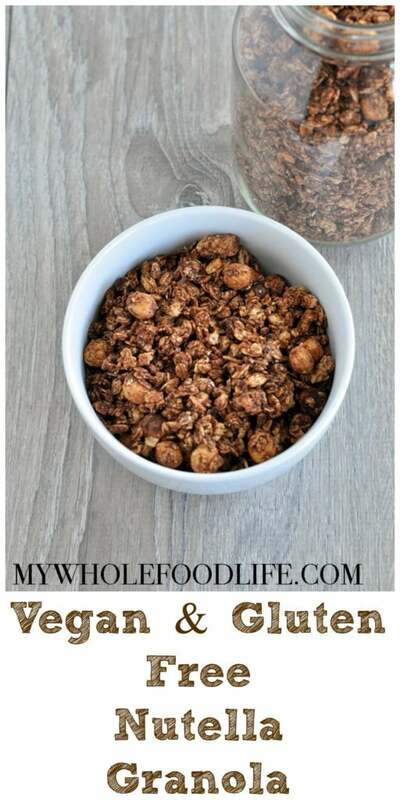 Vegan Nutella Granola. I bought some hazelnuts the other day to make my No Bake Nutella Bites. 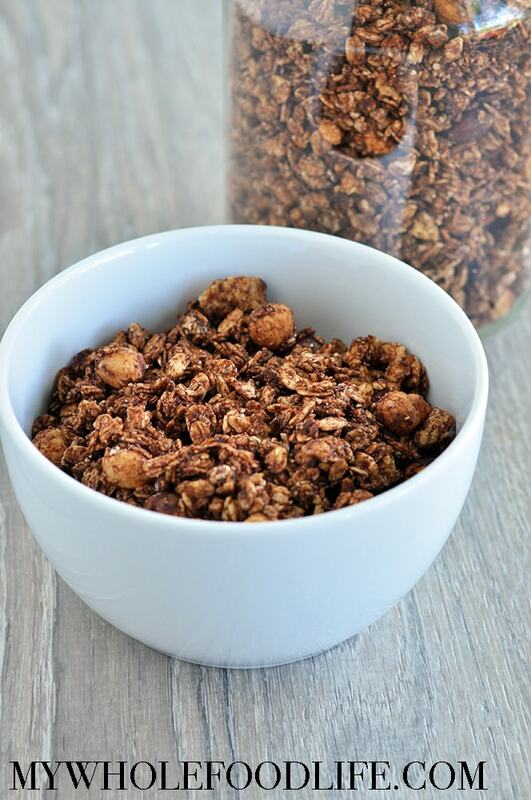 I had quite a few left over, so I thought about making a Nutella granola. Yes! You can now have dessert for breakfast. 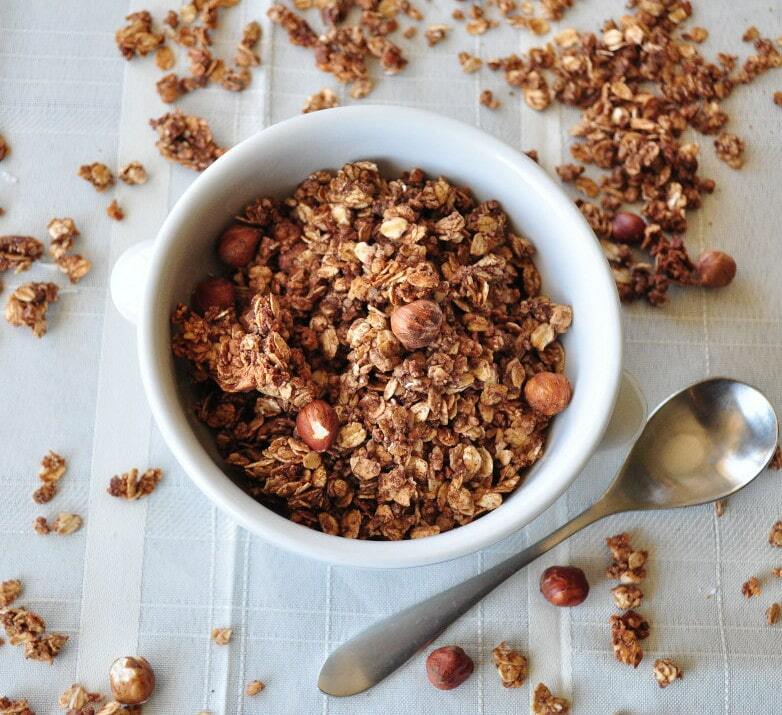 This granola is vegan, soy free, dairy free and contains no refined sugars! This granola kind of reminded me of my Peanut Butter Cup Granola. This would go perfect with my Homemade Hemp Milk. Want to make this recipe? Watch the video. For more videos, you can subscribe to my You Tube channel. 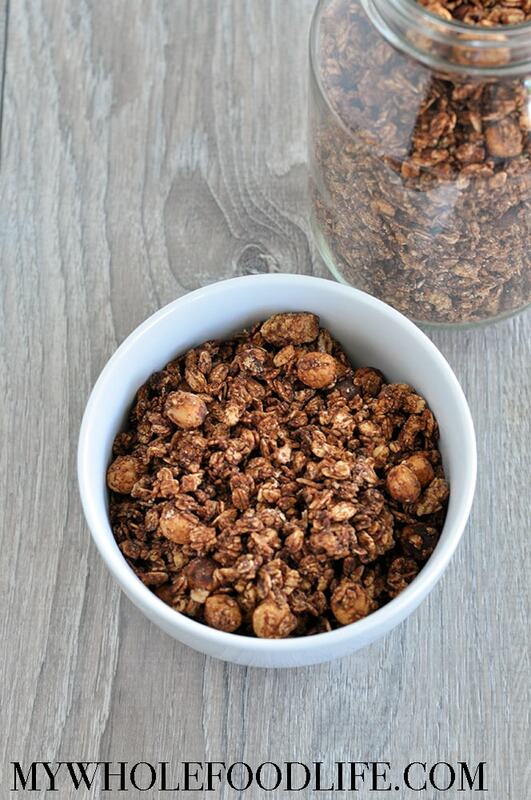 In a large bowl, combine the ground hazelnuts, the other cup of hazelnuts, oats, salt and cocoa powder. Pull out and shake the granola around and put back in the oven for another 15-17 minutes. An added bonus, your house will smell amazing! This recipe sounds delicious! I have all of the ingredients except for the cocoa powder. I do have raw cacao powder - would that be too bitter?